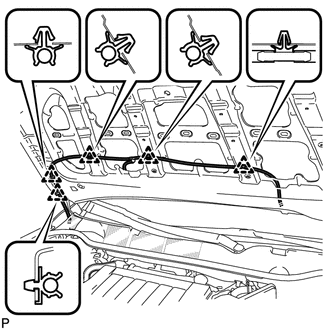 (a) Engage the 5 clips and connect the washer hose assembly. 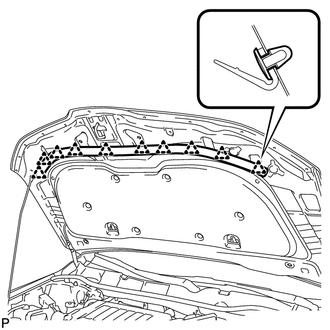 (b) Install the hood insulator with the 10 clips. 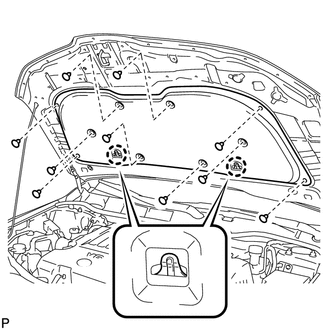 (a) Engage the 10 clips and install the hood to radiator support seal.